On this page are some facts about Africa and its rainforests. * Africa is the world's second-largest continent. * The continent can be divided into two distinctive parts - (mostly Islamic) northern Africa; and (mostly Christian) Africa south of Sahara. * Another way to divide it is the western half of it (which used to be colonialised by French), and the eastern half (which used to be colonialised by English). This is still reflected in culture and language. * Africa used to be part of Gondwana continent. * It is a continent of large climatic contrasts from arid deserts to evergreen rainforests. * Population of Africa is about 800 million people. * More than 60% of the population of Africa depends on agriculture for livelihood. 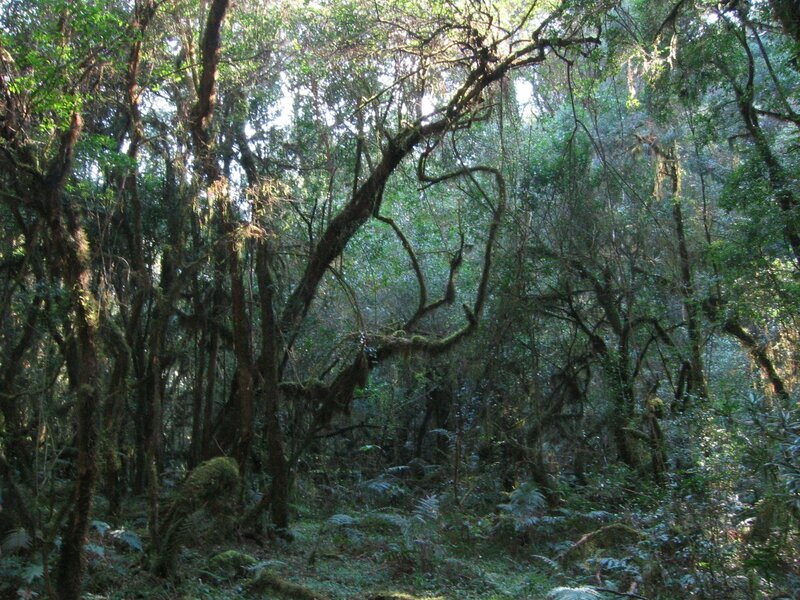 * About 20% of Africa is covered by rainforests. * These are located mostly in central and western Africa, however there are some rainforests in eastern and southern parts too, in countries like Ethiopia, Kenya, Tanzania, Mosambique and Zimbabwe. * In the rainforests there are indigenous tribal people who still live their traditional life there. * The animals unique to Africa are giraffe, lion, zebra, and rainforest dwellers Gorillas and Chimpanzees.